It's the first time a reused booster and already-used spacecraft have been used in a single mission. The theme for this launch: reusable. One of the Falcon boosters first flew on the CRS-12 mission in August 2017. And this particular Dragon module flew in April 2016, on the CRS-8 mission. It’s the first time two reused (or, as SpaceX calls it, “flight-proven”) components have been combined in a single mission. 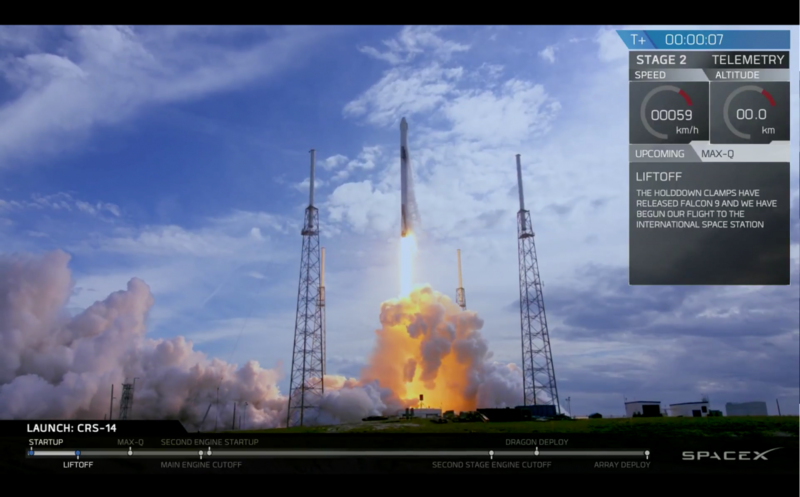 This marks SpaceX’s 14th successful flight for Dragon, and 15th flight overall (CRS-7, in 2015, failed before reaching orbit). 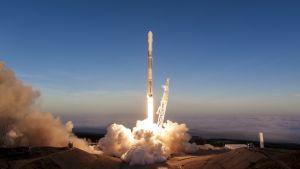 It’s the end of the line for this particular first stage — SpaceX did not attempt to recover it, though the engineers did gather information about it to improve future missions. Today’s launch was perfectly choreographed, no surprises. It’s a testament to how efficiently SpaceX now operates with missions like these. They’ve really got it down to a science. Things can still happen, of course, but nothing abnormal did today. An Earth observatory that will study thunderstorms and how they affect Earth’s atmosphere and climate. An investigation about how to best make products from metal powders in low gravity in order to improve manufacturing techniques. Experiments on how to best give plants the proper nutrients as part of continued studies to grow food in space. It’s not necessarily as exciting as, say, launching a cherry red sports car into the ether. But it’s still pretty dope. If everything continues to go according to plan, the Dragon will get within docking range of the ISS around 7 AM ET on Wednesday, April 4, at which point “ISS crew members will use the station’s 57.7-foot (17.6- meter) robotic arm to reach out and capture the Dragon spacecraft and attach it to the orbiting laboratory,” notes a SpaceX press release. And you thought those claw machine games were stressful. Dragon will be back again. After a month-long stint at the ISS, it’s slated to return to Earth, where, if its descent goes well, it will plop right into the Pacific near Baja California.